Can you count the horses in the picture provided here. 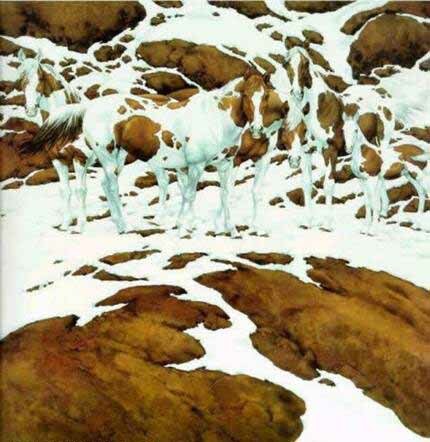 It is a lovely painting illusion count the horses. This painting is titled “Pintos” and was painted by Bev Doolittle. How many horses can you find in this classic piece of art? Bev Doolittle is an American artist working mainly in watercolor paints. She creates paintings of the American West that feature themes of Native American life, wild animals, horses, and landscapes.